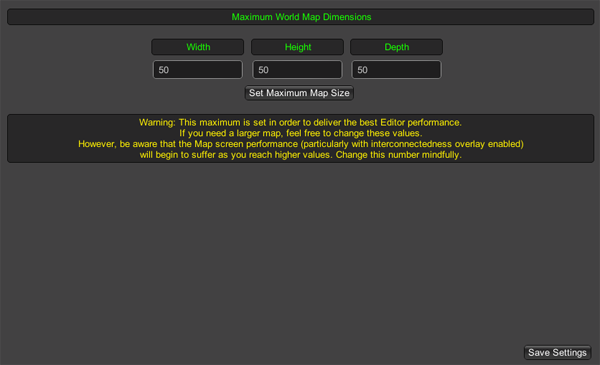 The new maximum width of the map. The new maximum height of the map. The new maximum depth of the map.